He’s Not Fat. He’s Fluffy. 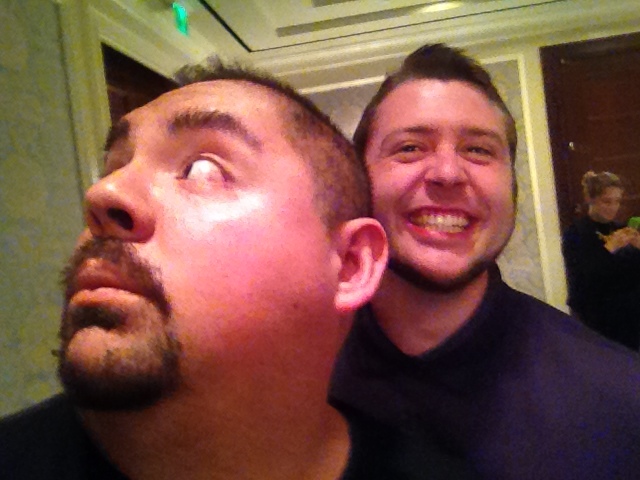 Out of all of the celebrity interviews I’ve ever had the pleasure of going to, I don’t believe I’ve ever had as much fun as I did speaking with comedian Gabriel Iglesias. 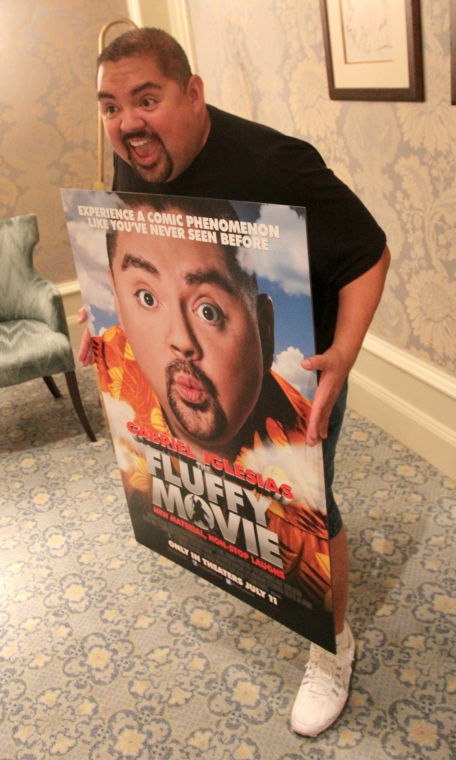 Iglesias, who also goes by his comedic identity as “Fluffy” was born 1976 in California, which is also his current place of residence. After we introduced ourselves, he talked about how he’s been up since 6 a.m. promoting for his new movie The Fluffy Movie, in theaters July 26, and how he just got to eat. That’s when I noticed his shirt, which sported a logo of a famous autobot that I loved from a series featuring transforming robots. “Can I just say that I love your shirt?” I told him. As we sat down at got ourselves comfortable, me and the other journalists at the table starting asking him questions regarding his early beginning as a comedian. Before becoming the highly-popular comedic phenomenon that he is, Iglesias worked as a salesman for a company called LA Cellular, which would later merge with a company called AT&T. Iglesias took his chance at comedy when he went into a club late into his career as a phone salesman. He even remembered the date that he first performed: April 10th, 1997. When I asked him about when he hit mainstream attention, when he became “Fluffy”, he corrected me, saying at how those were two different things. Iglesias said his career took off once he learned to use the name “Fluffy”. Iglesias said that the key to his success has been through networking. That networking has been the key to everything. After a journalist mentioned how Iglesias manages all of his own social media, Iglesias said handling it himself has been a big deal to him. Man, my copy desk chief would be having a fit. After talking about a time when he was drunk and cussed out his management team on a comedy club stage, Iglesias was asked if he felt like he got too open with his audience sometimes. As I conversed with him, I could tell through his speech that his audience was the thing he cared most about his career; about taking pictures with people at the airport and talking to fans as he sat down to order at the Pizza Parlor. Iglesias said that he tries to please everyone with his act, and when it doesn’t, he’s bothered by it. After talking with Jeff Sewell, Improv Comedy Club General manager, for my Shorthorn article, I discovered that he has known comedian Gabriel Iglesias for years. He said that Iglesias hasn’t changed one bit, ever since he met him about ten years ago in Houston. Iglesias said that despite some disappointments, he won’t change his act, because the Fluffy persona is what helped him sell out stadiums and arenas across the world. To read more on Iglesias, go online at www.theshorthorn.com. My article has a whole slew of good little nuggets, including audio tidbits of some of Iglesias’ best stories that I couldn’t fit into my article. Oh, and Gabriel also took a selfie with my cell phone.